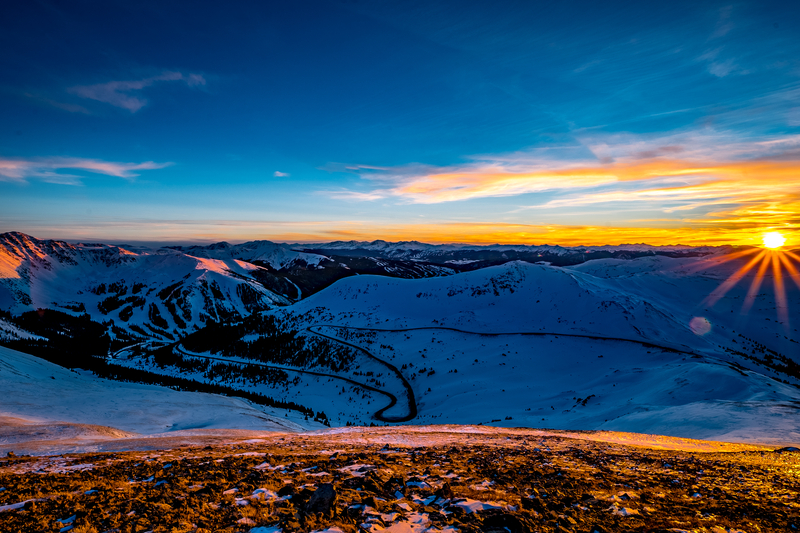 From a short hike east from the summit of Loveland Pass, in Colorado, the majority of Summit County and its iconic peaks encircle an iconic Colorado winter sunset. Enjoy, discuss. Shot with a wide angle, 5 image HDR, Sony a7iii. Had to apply pressure to the camera, on a tripod, to keep it from moving, due to 50 mph winds, during the sequence. First photo I've posted in these forums. Welcome to Dgrin. As first postings go, That's a beauty! The lens flare is a bit of distraction, but overall a great capture.